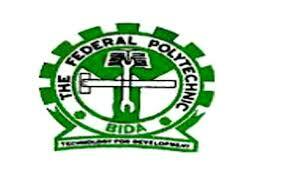 Federal Polytechnic Bida [FEDPOBIDA] Higher National Diploma, HND First [1st] and Second [2nd] Batch Admission List for 2018/2019 Academic Session. This is to inform all the candidates that applied for admission into the Federal Polytechnic, Bida Higher National Diploma (HND) programmes admission for the 2018/2019 academic session that the management of the institution has released the names of candidates offered provisional admission. a. Kindly log on to Bida Polytechnic HND admission portal via http://eportal.fedpolybida.edu.ng/applications/. b. Enter your Email Address and Password in the required columns. c. Click on the ‘Admission Status’ link on the left panel to access your Federal Poly Bida HND admission list. SUCCESSFUL APPLICANTS ARE TO PRINT THEIR ADMISSION LETTERS FOR THAT SAME PORTAL AFTER THE PAYMENT OF ACCEPTANCE FEE.